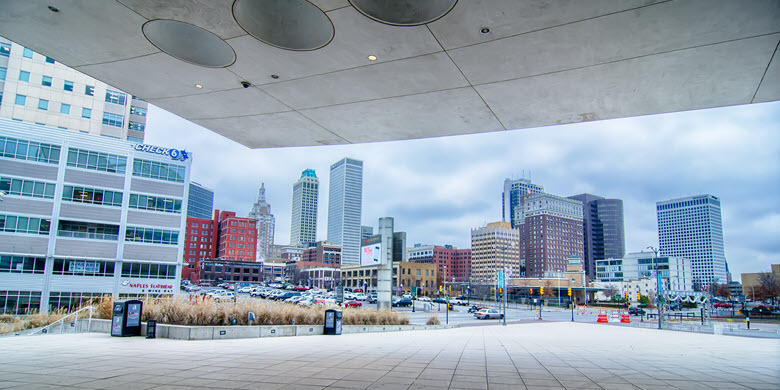 Tulsa provides a thriving business environment, especially to new establishments. Businesses can succeed if they have a good plan, great product/service, and a streamlined marketing strategy in place. You need a reliable Tulsa SEO company to ensure all marketing endeavors work out in your favor. Without professional assistance, marketing campaigns can easily go wrong and compromise your company’s reputation. That will have a direct impact on sales and might even cause your business to fail. As a well-established marketing company that has been around for more than 10 years, we can ensure this doesn’t happen. Small to Mid-Sized Local Businesses – Local SEO is vastly different from regular SEO, which is why it’s important to hire a local expert for the task. We have worked with many Tulsa businesses and are aware of the environment. Experts will use the most relevant keywords, create content that appeals to this specific audience and make sure your company shines in local search. Our goal is to place client’s links on the Local 3-Pack for best visibility. State or National Businesses – State or national businesses require more broad-focused keywords, content, and SEO. For example, keywords that work well in Tulsa might not work well in other cities in Our team researches all areas of influence carefully to create a very detailed campaign. This allows you to have both local and state-wide influence. Large Scale Enterprises – Marketing techniques used by small-scale or mid-sized companies aren’t enough for large establishments. Our team will investigate your industry, competitors, latest trends, target audience, and other such factors before planning an SEO campaign. This allows us to weave a mix of effective techniques to capture leads and generate conversions. Our experts can help with all kinds of marketing campaigns and will also provide supplementary services like website hosting, cloud storage, maintenance, customer service, etc. If you’re looking for a reliable company, we are the right choice. Web design is an important aspect of modern marketing because a bad website compromises the effectiveness of strategies. Our experts will optimize your existing site or create a new one from scratch. They will make sure the site provides great user experience and ranks high on search engine results pages. We don’t limit our marketing to just SEO and web design. As one of the best Tulsa advertising agencies, our company provides excellent pay-per-click, content creation, social media marketing, graphic design, and other such services. We can be your one-stop shop for all marketing necessities. If you want to know more about our Tulsa SEO Company, don’t hesitate to call us or contact us through our online form at Insignia SEO.